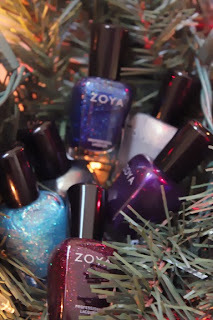 Zoya's winter collection Zenith is made up of icy iridescent blues, metallics and sugar plum purples that are reminiscent of the season. I absolutely love every color in collection. 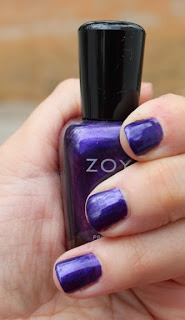 Belinda is a rich royal sugar plum purple shimmer with specks of fuchsia and ice blue. 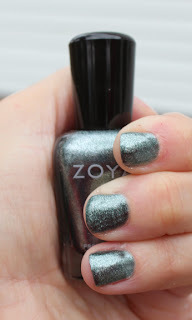 Cassedy is a celestial pewter metallic. Dream is a deep ice blue jelly with holographic glitter. Mosheen is an ice blue packed with iridescent glitter. This polish is meant to be a top coat for other shades as it is sheer by itself. I think it would be gorgeous over a dark blue or black (will showcase it soon). 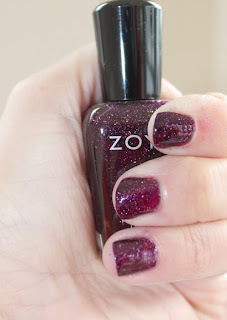 Payton is an iced cranberry red packed with iridescent glitter. 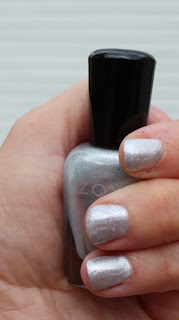 Seraphina is a polar iced metallic silver. I love the blue sparkly! Looks like a great collection! I love the icy purple. Everybody has such good winter collections. OPI's Mariah Carey colors are gorgeous, and Essie has really cute glittery ones!